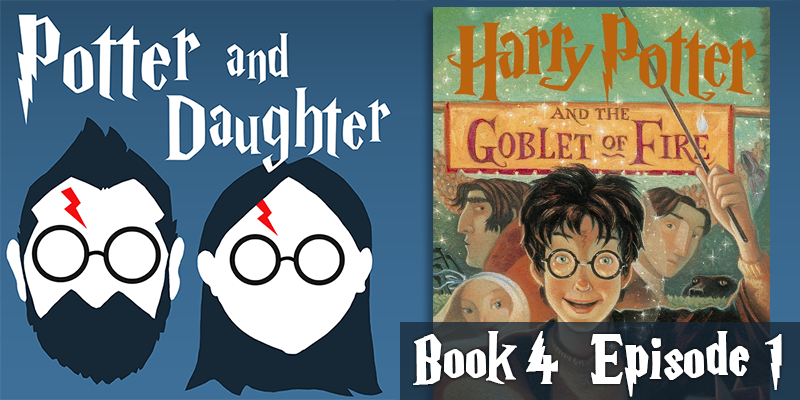 In the twelfth episode of Potter And Daughter, Joel and Lily discuss the the first 9 chapters of Harry Potter And The Goblet Of Fire, which deals almost exclusively with the Quidditch World Cup. It’s all nearly all Quidditch, mostly all of the time. At least it is until the Death Eaters show up and cast a dark mark over the festivities. Our theme song is “This Book Is So Awesome” by Harry and The Potters. Become a Patron and support Potter And Daughter. Our Patreon Patrons get new episodes one week early! RATING: Always safe for work and safe to share with your kids. Posted in Potter And Daughter Podcast.